This year Dr. Daniel Lanzer was featured on the national program, A Current Affairs, where he assisted a gentleman who had lost a significant amount of weight and now required corrective cosmetic surgery. One of the procedures that was required was improving his facial appearance. With excessive weight loss, men often lose fat and collagen in their mid cheeks which causes a drooping and sagging of the cheeks as well as sagging and drooping of the neck. The same appearance is seen with general aging. Dr Lanzer explains male mini face lift below. Facial movements, such as smiling and sun damage, weaken the muscles in the underlying tissues and contribute to the sagging of the cheeks. Also with aging, there is generalised thinning of the structures under the skin which includes collagen, elastin, fat, muscle, and bone. This all enhances the sagging skin appearance on the face. There are many different types and sub-groups of face lift surgery that can be performed in men. There are deep plane face lifts where the deep fascia is penetrated and removed. This layer is called the SMAS. Some patients do require a deep layer face lift. However, it has been Dr. Lanzer’s experience over 25 years that most men are looking for a more subtle lift which gives them what they call a natural appearance. How can a mini face lift for men be “natural”? Obviously, the word natural regarding face lifts does not mean natural as in leave things to nature but rather restore one’s facial appearance to how it looked before the skin started to age, say 10-20 years earlier. The best way to understand a natural lift is to stand in front of the mirror and push the cheeks towards the ear. This is the natural type of appearance. 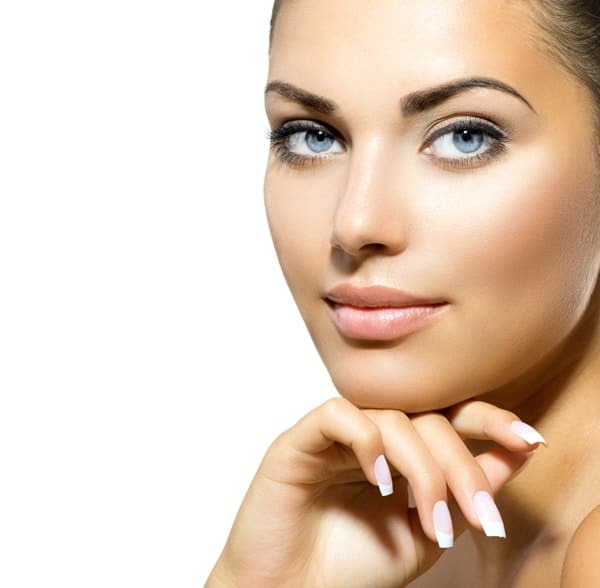 It is what patients consider natural and it is the goal of a mini face lift. In what way is male mini face lift, “mini”? Mini means that it is a restricted form of face lift. Some forms of face lifts require lifting the whole face and cutting right into the hair behind the ear. The mini face lift involves only elevating about 5 cm around the ear with a smaller incision, a smaller amount of undermining. This means that generally there is less bruising and swelling and less risks. How does one get the face to elevate with a small incision? The mini lift works by placing more long term sutures on the deep muscles of the face and neck. by pulling up the muscles there is an immediate lifting result and then the residual loose skin can be easily removed from around the ears. What is the risk of keloid scarring? Keloid scarring is very rare around the ears. However, scarring does vary between patients. Some patients have almost no scar from a face lift whilst others can see a slight thickening around the ear. What is the risk of nerve damage with a mini face lift? This is certainly a concern to men and women who are having mini face and neck lift surgery. Fortunately, the main nerves that control the muscle movement of the face are not in the exact plane that we operate when performing a mini face lift. Therefore, the risk is low, but is not zero. We always see a little bit of numbness in the beginning which is more or related to bruising. This usually passes with time. Discover Male Mini Face Lift Advantages! 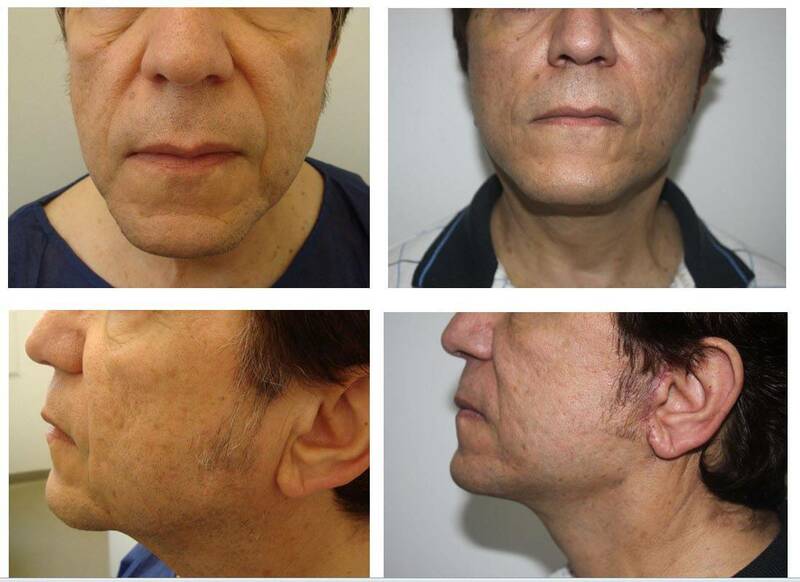 An increasingly large amount of patients now opt for Male Mini Face Lift procedures. Men now make up a large proportion of patient seeking cosmetic face lift surgery on the face and neck. If your looking to remove fat from the face, get a free consultation at Melbourne Male Mini Face Lift clinic with Dr Lanzer. No, a lot of men like to have the procedure while they are asleep, but there is a good proportion of patients who prefer to be awake. This has been a very acceptable procedure in our hands. Local anesthetic, using the tumescent liposuction technique, is applied to the neck and area around the ear. This numbs the fat, softens it, and allows me to separate the skin from the underlying muscle. Since it contains adrenaline, there is very little bleeding. Where will I see the result of a male mini face lift? The most dramatic area of mini face lift will be seen on the lower part of the face. Usually there is drooping of the lower cheeks which can be seen around the jowl areas. The other area that will be most noticeable will be the junction from the jaw to the neck. Ideally, there is a flat plane under the chin which then turns to the neck in a 90 degree angle. In some patients, the skin is sagging so much that the skin goes almost directly on an angle from the tip of the chin down to the neck with no horizontal component. By changing this angle, a patient can look so significantly different. How many years younger could a man expect to look after a mini face lift? This is an interesting question as one can never be precise on the number of years. Some men look 10 years younger and some even 20 years younger. Can I have my eyes done at the same time? Yes, a lot of men have eye rejuvenation with laser at the same time and the procedures work well together. Sometimes, we will also perform laser resurfacing on wrinkles particularly in women or particularly in fair skinned people with sun damage. How often will I need to be seen after a male mini face lift? Dr. Lanzer is a very hands-on surgeon and he really likes to see patients. He will want to see the patient the next day, usually after a week, and then after a month, and then after a few months. All the post-operative care treatments are included in the original price. What happens if I need to call Dr Lanzer after hours? Dr. Lanzer does supply his patients with his private personal pager and he is always contactable. This is a good reassurance to patients that he will always be there to care. Do I need to grow beard to have a male mini face lift? No, a beard is not required. Sideburns may be slightly helpful as far as covering the suture line around the ear. The suture around the ear goes behind the cartilage in the front of the ear called the tragus. This means that the scar is broken up and because it stays in the natural crease lines, it is not all that obvious.